J.Y. Park celebrates his 24th debut anniversary! J.Y. 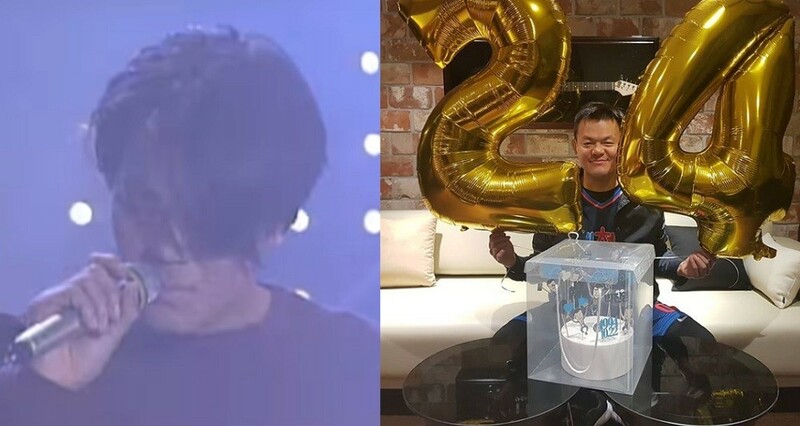 Park celebrated his 24th anniversary since his debut. Since the year 1994, J.Y. Park has been sincerely active as a singer, dancer, composer, as well as an entertainment producer. Before he founded his own label with his own artists, J.Y. Park had garnered the most attention as a singer, making huge hits such as "Don't Leave Me", "Elevator", "She Was Pretty", and more. "Not the fact that it's been 24 years since I debuted but the fact that you guys still support me after 24 years is what I appreciate so much. Thank you for the wonderful presents. Will keep trying to make you guys proud." Check out the post below. Congratulations to J.Y. Park! #??24?? #24thAnniversary ?? ??? ? 24?? ??? ???? 24?? ??? ?? ? ??? ??? ? ???? ??? ??? ??? ?????. ????? ?????? ? ?? ??? ??? ? ??? ?????. Not the fact that it's been 24 years since I debuted but the fact that you guys still support me after 24 years is what I appreciate so much. Thank you for the wonderful presents. Will keep trying to make you guys proud. At this point, it should mandatory that JYP 'himself' does *whisper* "JYP" into the microphone at his private celebration party for this annual event. He accomplished so much. Talented man.